Montelbaanstoren is a charming tower on the bank of the canal of Oudeschans in Amsterdam city. The tower was built in 1516 for the purpose of defending the city. 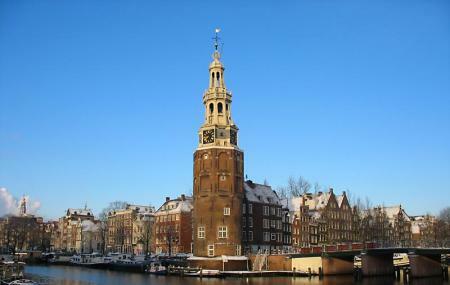 The great tower holds a lot of historical importance in the city and was designed by the renowned Hendrick De keyser. Give the destination a visit and be mesmerized by its charm and grandeur that will leave you in awe of the city. Bike city, too many people, can't really drive, pretty impossible to. People also either take trams or walk a lot. People are friendly when you ask questions. Good eating spots around the tower. I went and did canal tour around the city, pretty interesting. Amsterdam is beautiful. And lastly check out the red light district. You were made to feel at home. Hanson the owner said English are always going in his cafe. Such an incredible monument to the history of Amsterdam.